Present state: The station buildings have been demolished and the platforms largely covered over with soil. Two concrete posts that once supported a station sign survive in the access road to the station which now leads to a council depot on the site of the goods station. The stationmaster's house survives in private occupation. 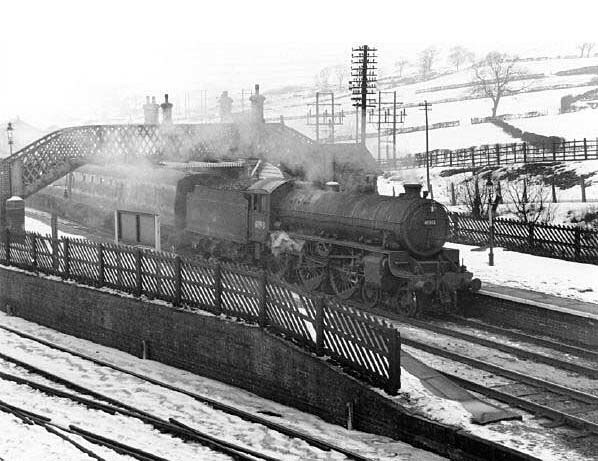 Notes: Kirkby & Pinxton Station was a typical station on the northern end of the line with two side platforms each with a timber and brick building and a substantial canopy. There was a goods yard on the down side of the line to the west of the station. The station served a thriving mining community with Bentinck Colliery served by a branch from the Great Central. On 1st March 1925 the station was renamed Kirkby Bentinck. There were two other stations within a short distance and after WW2 passengers were in decline. 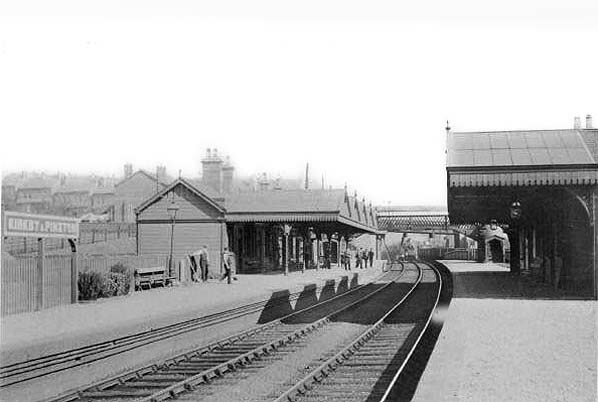 The building on the down platform was demolished and replaced by a small waiting shelter while that on the up platform survived until closure of the station on 4th March 1963 when local services on the Great Central were withdrawn. The station lost its goods service on the same date although a private siding remained in use after closure. 1845. The Manchester, Sheffield and Lincolnshire Railway ran between Manchester London Road (now Piccadilly) via Penistone to Sheffield (the Woodhead route) and on to Brigg, Grimsby and Cleethorpes. A second line left the main line at Penistone and served Barnsley, Doncaster and Scunthorpe before rejoining the Grimsby line at Barnetby. The MS & LR opened a line from Sheffield Bridgehouses to Beighton for passengers on the 12th February 1849. Passengers going south and to London changed on to the ‘Midland’ line at Eckington. On 15th September 1851 a new station called Sheffield Victoria was opened a short distance to the south west of the Bridgehouses terminus which was retained as a goods depot. 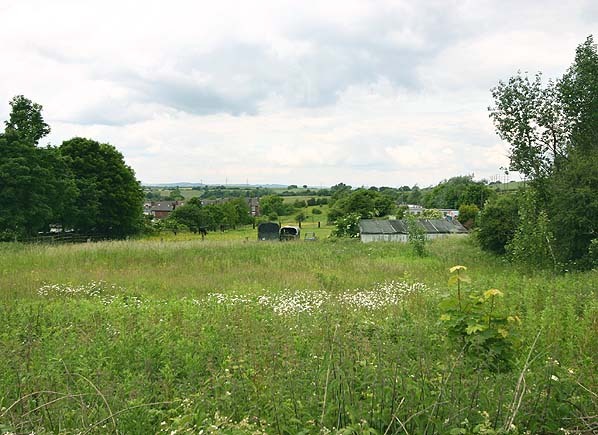 purchase the land from BR and lease it to the railway for 99 years. Despite a shaky start, the Great Central Railway PLC are now operating throughout the year between their headquarters at Loughborough Central and a new station called Leicester North just inside the city boundary. 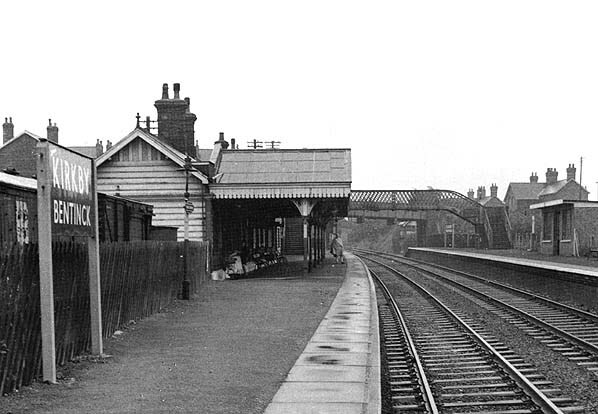 The remaining track between Leicester - Rugby was lifted in early 1970. Too see other stations on the Great Central Railway between Sheffield Victoria and Aylesbury click on the station name: Aylesbury, Waddesdon, Quainton Road (1st site), Quainton Road (2nd site)**, Calvert, Finmere, Brackley Central, Helmdon, Culworth, Woodford Halse, Charwelton, Braunston & Willoughby, Rugby Central, Lutterworth, Ashby Magna, Whetstone, Leicester Central, Leicester North***, Belgrave & Birstall, Rothley**, Swithland****, Quorn & Woodhouse**, Loughborough Central**, East Leake, Rushcliffe Halt**, Ruddington, Ruddington Factory Halt, Arkwright Street, Nottingham Victoria, Carrington, New Basford, Bulwell Common, Bulwell Hall Halt, Hucknall Central, Annesley South Junction Halt, Hollinwell & Annesley, Tibshelf Town, Pilsley, Heath, Staveley Central, Renishaw Central, Killamarsh Central, Beighton (1st site), Beighton (2nd site), Woodhouse Junction, Woodhouse*, Darnall*, Sheffield Victoria & Sheffield Bridgehouses.